We love fusion. And we’re not talking about fusing atoms, or welding two pieces of metal together – we’re talking about fusion cuisine. Since about the 1970s, our increasingly connected world has resulted in a lot more migration and cross-cultural contact. While this has been good for trade and the global economy, it’s been amazing for food. Today, in any major city, you can easily find restaurants specialising in a variety of different cuisines from all over the world. It has also resulted in restaurants and chefs experimenting with the marriage of different culinary traditions and techniques to create new approaches to old favourites. Some chefs do this to do something different, others to make a foreign cuisine more appealing to local tastes. Why do we do it? Because we love creating delicious new dishes, and because seafood is a great partner to any traditional dish. This doesn’t mean we don’t still love classic seafood. Our menu is filled with purist dishes from mussels and oysters to kingklip and stacked hake – it just means that as with music, you don’t have to choose between The Beatles and Beyonce, you can have both. So, if you’ve ever been curious about the inspiration behind some of our most popular dishes, here’s our guide to fusion cuisine at Cape Town Fish Market. The traditional dish: A taco is any corn or wheat tortilla folded around a filling. The filling itself can be almost anything, including meat, seafood and vegetables, and is usually topped with a garnish such as salsa or guacamole. The CTFM culinary fusion edition: For our tacos, we’ve gotten creative. Not only do we offer deep-fried prawn or seared tuna as potential fillings, we serve them with a local garnish of peppers, guacamole, tomatoes, red onion, coleslaw and carrots. 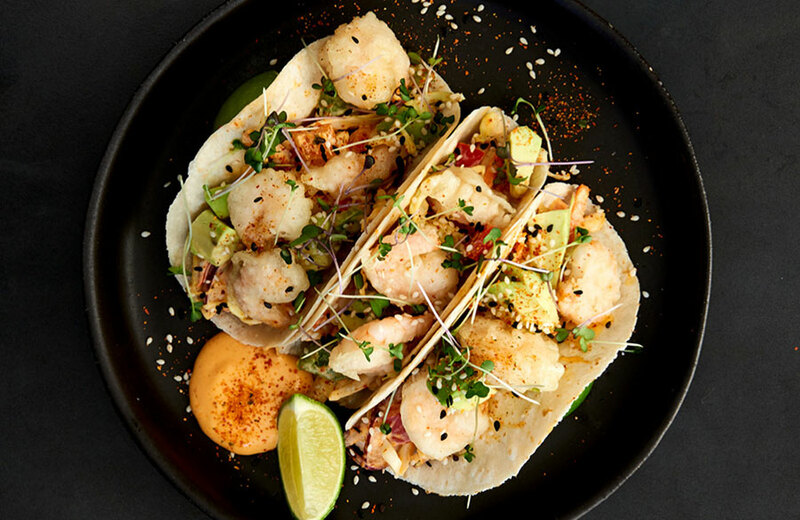 Top it off with an Instagram-worthy tapas-style presentation, and you’ve got a Mexican-Spanish-seafood fusion creation that will forever redefine how you think of tacos. The traditional dish: Sliced cubes of raw fish, usually yellowfin tuna, marinated in soy sauce, sesame oil, and green onions, served on a bed of rice, topped with a garnish. The CTFM culinary fusion edition: Why make a poke bowl with just tuna when we know how much our savvy diners love salmon and prawn? 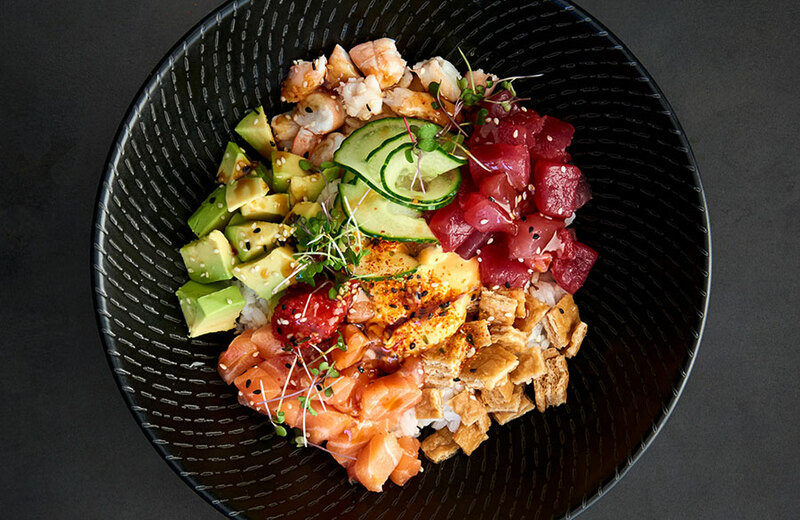 We’ve taken a traditional poke bowl and spiced it up with 5 different kinds of poke, including tuna, salmon, prawn, bean curd and avocado. 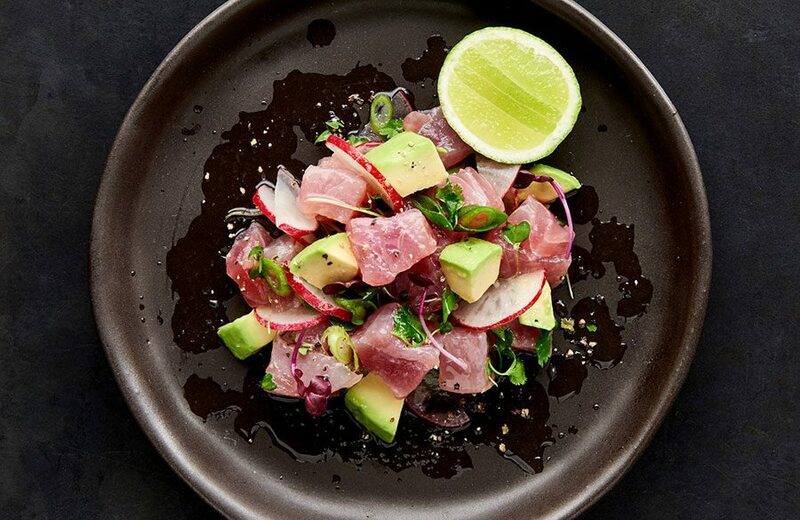 Tuna is the traditional Hawaiian favourite, while salmon and avocado show a strong western influence on our interpretation for a fusion creation our customers can’t get enough of. Take a deep dive into the history and art of the poke bowl. The traditional dish: Curries usually refer to dishes originating in India and prepared in a curry sauce, which consists of a complex mixture of herbs and spices, usually including either fresh or dried hot chillies. The CTFM culinary fusion edition: While we love our Indian curries, it wouldn’t be fusion unless we brought two cultures together. That’s why for our fish curry, we’ve added a special blend of traditional Cape Malay spices and local vegetables to create a curry that’s uniquely South African, and perfect for our locally sourced seafood. The traditional dish: Thailand has an almost infinite variety of noodle dishes, with a range of ingredients and spices that make the traditional form difficult to pin down. Pad thai, perhaps the most well-known Thai noodle dish, is made from rice noodles stir-fried with eggs, tofu and other vegetables, flavoured with fish sauce and served with lime. This dish usually contains one or more meat, from prawns to chicken and beyond. The CTFM culinary fusion edition: We love Thai cooking because of the lightness and freshness of the dishes, as well as the wonderful spicy aromas that surround Thai food. 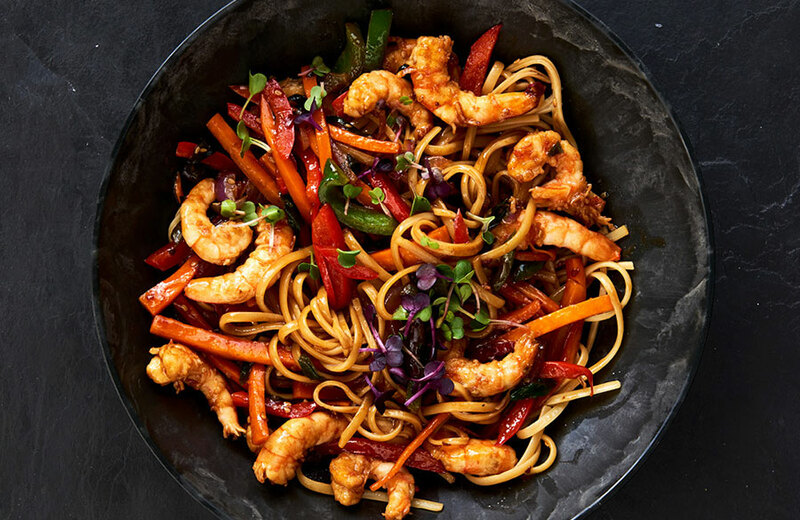 For our prawn noodles, we wanted to bring classic Thai cooking to our customers, but with a local twist. In this case, we’ve replaced Asian vegetables with local ones such as mushrooms, mixed peppers, carrots and onions. And, after some experimentation, we decided that the ideal complement to this would be our sweet teppanyaki sauce, for a dish that’s recognisable, but also a new experience for lovers of Thai cuisine. or ‘cover’ of drinks at a bar. Originally, tapas predominantly involved cured meats (as the tradition grew before the age of refrigeration) and as such fresh seafood was uncommon as a tapas dish until the 20th century. The CTFM culinary fusion edition: At CTFM, we love tapas. We love it so much, we’ve devoted no fewer than 3 whole pages of our menu to our east-meets-west tapas fusion creations. We’ve added a homegrown touch to our tuna ceviche with the addition of avocado, replaced cream cheese with salmon in our chilli popper, and taken sushi style west with the addition of deep-fried pastry and Philadelphia cream cheese in our Kataifi Bites. That’s just to start. 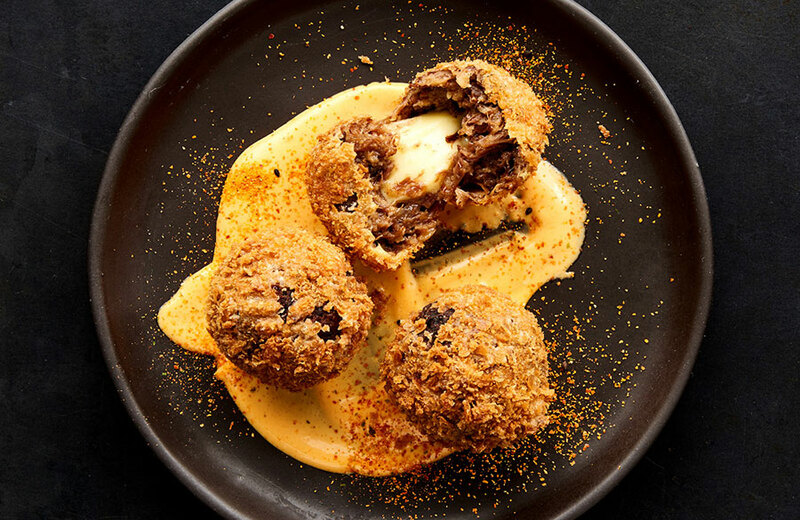 We’ve also given the tapas treatment to our lamb croquettes and beef ribs for a broad selection that’s ready to take you on a culinary journey wherever you’d like to go. Discover the history of tapas. When cultures come together, food always wins. If you haven’t already decided what you’re going to have on your next visit to CTFM, you don’t have to wait. You can take a look at our menu right here.